Can Paying Attention to Dreams Increase Creativity? 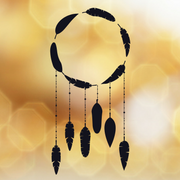 Is there a link between dreaming and creativity? There are anecdotal accounts of creative ideas in science, art, music and literature emerging from dreams. There are also studies showing that people who recall more dreams score higher on creativity tasks than people who recall fewer dreams. But, is there a real cause and effect connection, or is it just that creative people tend to dream a lot? Can you begin to think more creatively by paying more attention to your dreams? A recent study published in the Journal of Creative Behavior by Mauricio Sierra-Siegert, Emma-Louise Jay, Claudia Florez, and Ana Esther Garcia provides a tentative “yes” to that question. The researchers had students from the Colegiatura Colombiana in Medelin, Columbia take creativity tests on two different occasions, four weeks apart. On each of the intervening mornings, some of the students received emails asking them to rate how much detail they recalled about any dreams from the night before and how vivid their dreams were in terms of basic sensations. In effect, the investigators were trying to get the students in this experimental group to pay more attention to their dreaming. Students in a control group also got emails each morning, but their task was to make the same kinds of ratings about a real event from the day before. They were reflecting on events they experienced, but wakeful ones, not dreams. The creativity task was the Figural part of the Torrance Tests of Creative Thinking (TTCT). It requires people to draw pictures that incorporate an ambiguous figure, expand on incomplete forms, and make use of a set of lines or circles. The investigators scored each person’s drawings in two ways. One was a basic Raw Score based on several factors, including the number and originality of ideas. The other was a Creative Strengths Score based on the emotional expressiveness, movement, humor, fantasy, and richness of imagery in the drawings, among other ingredients. The latter score gets at the creative richness of the drawings produced. The key finding from the study was that students in the experimental group did better on the TTCT the second time around, with significant increases in their Raw Scores and Creative Strengths Scores. The students in the control group, showed gains in their Raw Scores, but did not change at all in terms of the richer Creative Strengths Score. The improvements in the Raw Scores for both groups could just be practice effects from taking the TTCT a second time, because a third group of students that did not receive any emails also improved on that measure. But the Creative Strengths increase for the experimental group seems to be based on the intervention itself, since neither the control group nor the no-email group improved on that measure. The results show that something as simple as taking a little time each morning to think about the night’s dreams can boost creativity. Why did creative performance increase for people who were prodded to reflect on their dreams? What’s the underlying process? When asked to report on how frequently they recalled dreams in the preceding month, students in the experimental group showed bigger increases than those in the control group from the beginning to end of the study. So it is likely that the increased Creative Strengths Scores for the experimental group resulted from starting to recall more of their dreams. As interesting as the findings are, we still don’t know if thinking about the night’s dreams has a general effect on creative thought or if, instead, there might be a more direct connection between recall of specific dreams and their use for specific creative outcomes. The students were not asked to write out dream journals or otherwise keep track of the details of their dreams, only to rate their detail and vividness. Nor were they asked to try to make use of ideas from their dreams to help with any particular task. Does this matter? In one sense no, because if there is a general boost to creative behavior just from daily consideration of the night’s dreams, it doesn’t really matter which dream led to which idea. On the other hand, it would be good to know if and how simply reflecting on our dreams can be put to use to aid specific creative tasks. Until we have more data, I guess we just need to sleep on it. http://designconf.vma.bz/wp-content/uploads/2017/04/dreamcatcher.png 180 400 http://www.metalatitude.com/designconf/wp-content/uploads/2018/01/logo2_white-1.png 2017-04-18 09:29:012017-04-18 09:29:18Can Paying Attention to Dreams Increase Creativity? Impactful innovation in an industry like hospitality goes a long way when integrated properly. While hotels and resorts might have been slow to evolve over the years, they have made up for it in strides recently as this sector has quickly been able to adapt and integrate new trends into their offerings. With new hospitality services like AirBNB, HomeAway and Jetsetter continuing to disrupt the industry, growth towards individual customization and bespoke travel experiences have started to emerge as their own trends helping to drive the industry forward. Well-known hoteliers like Hilton and Marriott have begun exploring the idea of creating unique and meaningful travel experiences by launching sub-brands specifically tailored to respond to the needs of an evolving customer base. Historically, customization and exemplary service were something reserved only for high-end, concierge travel. It is now much more accessible to the everyday jet setter as brands continue to observe marketplace trends and grow. While there are many big trends noticeable in the hospitality industry, here are a few we’re seeing as the biggest game-changers of 2017. As the world continues to grow aware of global warming and other environmental hot-topics, hotels should be educating their visitors on the virtues of sustainability. Commonly known as eco-tourism, the concept is based around recreational and educational travel in eco-sensitive areas that helps promote and protect the harmony of the local environment. An added benefit is that eco-tourism also helps stimulate local economies. In economically depressed parts of the world, it offers employment to locals and gives them the job skills they need to provide for their families. Eco-tourism also opens up opportunities for small investors and puts focus on protecting biological resources. This is usually accomplished by a joint effort between the local communities and the hotels. Cooperation between the two enables production and refinement of renewable energy sources while reducing local pollution and lowering the carbon footprint. Green energy reduces pollution and carbon emissions. It is also more affordable, and when used in the hotel industry, it will help minimize costs and improve profitability. Studies have shown that the young people who travel tend to choose hotels that offer well equipped gyms and workout centers—they do not want their vacation to get in the way of their healthy lifestyle. As such, hotels have begun investing in state of the art gym equipment as well as personal trainers to help the guests keep fit while on vacation. As a way of encouraging an active lifestyle for their guests, more and more hotels are now offering yoga classes as well as placing fitness related materials in individual guest rooms. These materials are designed to encourage the guests to step out of the rooms and explore areas of interest in the neighborhood. Young people also seek out healthier food choices when on vacation. Hotels have begun catering to this need by offering better quality food and drinks from organic, sustainable farms. This showcases the hotels dedication to health and wellness as well as enhances the visitor experience. VR, or Virtual Reality, is the use of computer technology to create a simulated environment in which the user can experience a locale or place without actually having to travel there. 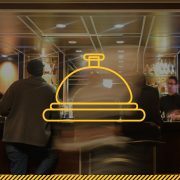 Users are fully immersed and are able to interact with 3D worlds.Some experts are predicting it will revolutionize and transform the hospitality industry. Hotels are now experimenting with a technology called “VR Postcards” which allows their guests to explore amazing locals like never before. The VR technology allows guests to take a virtual tour of the areas they might be interested in visiting. Travel agencies are also taking advantage of VR and using it when creating an itinerary with their clients. It allows their clients to virtually visit areas of interest and has been shown to help increase sales. Having the sensation of virtually being in an area is much more persuasive than looking at a color brochure of the same area. Hotel guests may get disappointed when they check into their rooms upon realizing that they do not meet their expectations. Virtual reality takes them on a walk-through before they make their booking, so they can then intelligently choose a room that meets their expectations which will ensure a comfortable and enjoyable stay. Some individuals may not be able to travel because of reasons such as disability, advanced age, or poor health. Virtual reality can help these people see a local attraction they might not otherwise be able to see. It affords the experience of the locale without the hassle or aggravation that would inhibit their visit. The hospitality industry is currently undergoing major changes. In 2017, it’s all about the environment, health and technology. As the baby boomer generation gets older (and starts to travel less due to age and health restrictions), the youth and young adults of today are seeking a hotel experience that is more in line with their personal beliefs and lifestyles. Hotels that take advantage of these trends will continue to see massive growth and popularity. Dava Guthmiller of Noise 13 will be presenting at the VMA Design Conference in June 14. Designing ‘pages’, ‘articles’ and worrying about what sits ‘below the fold’: most of the language we use to describe content on the web is derived from print. Would new terminology help free us to exploit the web’s full potential? asks Google Design Advocate Mustafa Kurtuldu in the third episode of his YouTube and podcast series aimed at improving understanding between designers and developers. 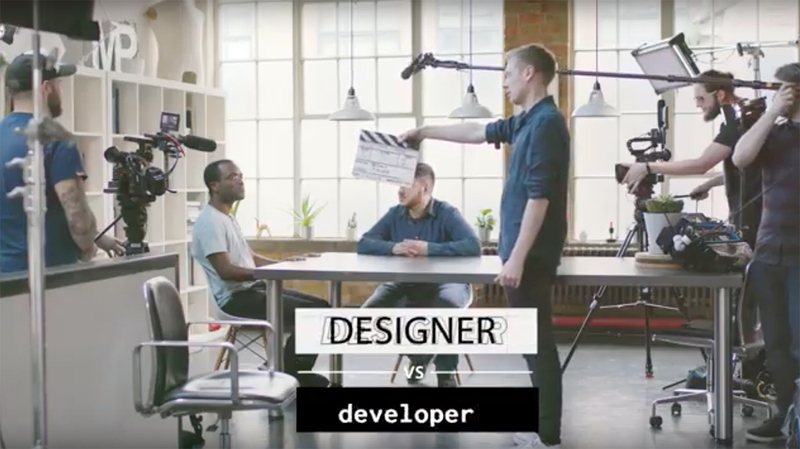 As a Design Advocate at Google, Kurtuldu is trying to iron out some of the issues that can cause friction between designers and developers with Designer vs Developer, a six-part YouTube series and podcasts. Released every two weeks, each episode deals with a different issue, from effective collaboration to whether too much testing and data ruins the creative process. All the episodes will be posted here on the CR site. In episode 3, Kurtuldu speaks to Ade Oshineye, Developer Advocate on the Google Developers Relations Team, about the influence of the archaic language of print on web design. “If I had asked people what they wanted, they would have said faster horses”. This quote is often attributed to Henry Ford. Even though there is no evidence to prove he actually said this, the quote has become a mantra in some design circles to mean: don’t ask the users what they think, and if they articulate what they want, simply ignore them. For me, this assumes that designers have some innate knowledge of everything and that the average person is ‘stupid’. I want to go faster, yet I have no concept of a car, all I know are horses. So I ask for faster horses. Really, what the users are trying to say is that they want to go faster. I’ll call this thinking analogue. However, once users have experienced different modes of transportation, the idea of traveling faster makes more sense on its own and is easier to express clearly. In other words, the more frames of reference we have for something, the better we understand and can express it. The language used here is critical because if we end up using the wrong language, we could end up working on the wrong thing, ie, figuring out how to make horses go faster rather than creating something that allows us to travel faster. This brings me neatly to the web and its influence on the world of graphic design. From our points of reference to the tools we use, graphic design has championed a way to create websites. Take for example when we talk about pages. Nothing on the web is a page, but we don’t have a concept of what these things are. We can call them documents, but that word doesn’t help project a meaningful mental image. Perhaps this is why we design sites as static pages or have done so for the longest time. In more recent years we have been creating things on the web in a more modular fashion. Brad Frost has been doing great things conceptually with what he calls Atomic Design, building on the idea of systems that evolve rather than static pages that are locked the moment they’re printed. I like the idea of atoms as they reinforce the concept that websites are alive. Another example of a term borrowed from the print world would be the dreaded ‘above the fold’. This expression came from broadsheet newspapers who charged more for ads that appeared at the top of the page. Large newspapers are folded, so the articles or ads that appear at the head of the page naturally receive greater exposure because they are ‘above the fold’. For the web this meant that we tried to stuff as much visual clutter to the top: logos, navigation bar, intro statement, article title, hamburger menu, search bar and the kitchen sink. This has become the expected presentation on the web, a world where every site looks like a WordPress template. I’ve been guilty of doing this myself. In my defence, at the time I didn’t fully understand what the web was – a never ending connection of particles, or the way people use it – as a never-ending journey of clicking, tapping or jumping from one place to the next. I imagine a great website being a bit like a film where the viewer could jump in and leave at any point and still understand the story. But due to the incorrect use of language, we’ve superimposed ideas from other mediums that after a while break badly. Take the whole responsive web; previously we designed in a fixed-width environment until Ethan Marcotte reminded us that the nature of the native web was fluid, not fixed. In the past, we believed users wouldn’t scroll, but we have come to discover they will if the content is inviting. Users can use anything depending on the context they’re in and if they have no other choice. They’ll accept their predicament until a better alternative comes along. Users will wait for a long time for the map to load on their screen if they’re in an unknown place and they desperately need to find where their hotel is. They’ll wait in line for a taxi for ages if there are no other options. Then along comes a new system, app, method or understanding, and our expectations change. That becomes the new standard, and we start to think in digital. This, my friends, is how the industry progresses. We often look at each step of progress as this magical path of perfection, that changes in an instant with each innovation or realisation. We forget about the cultural baggage that comes with that change or understanding. Take one of the greatest British scientists of all time, Isaac Newton, as an example. At some point, he tried to develop a Philosopher’s Stone, a magical item that could turn base metals into gold. He then went on to building the first practical reflecting telescope, but was nonetheless a wizard (I know the British like to use the word alchemist, but he was a wizard). He carried that baggage of the past, even when he developed his theories of gravitation. For us, this means reflecting on our baggage, the world of print and realising how much of it has and is still holding us back. And how much of the adopted language is still affecting the nature of what we’re creating? In the same way, we might now be replacing graphic design with native app design, diluting the nature of the native web. It’s true that we have for the longest time envied the world of native apps- to the point where we’re now trying to replicate its UX including its flaws. Looking at you, hamburger menu. In my conversation with Ade Oshineye, he suggested we remove the word ‘apps’ from whatever we do on the web and just call them ‘sites’. Then we can start to develop language native to the web, where we design for the its environment and not for the context of print or any other platform. George Orwell once wrote an essay about the English language and argued for clarity instead of vagueness and political conformity: “Underneath this lies the half-conscious belief that language is a natural growth and not an instrument which we shape for our own purposes.” I feel we have to object to conforming to existing platforms and move away from vague language for the web to find its voice. Then perhaps we can start designing below the fold. 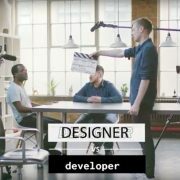 Designer Vs Developer can be seen here on the Youtube Chrome Channel. You can also listen to a longer version of the conversation by downloading the podcast here. Why are so many companies changing their logos to flat designs? One thing to bear in mind is that logos, software interfaces and icons are not the same. But they may share some characteristics. Logos: Logos were originally developed before electronic displays arrived; they were present in printed stuff and objects mainly . They have been through stages that had to do with the cultural references at the time; they, for instance, appeared mainly on big signs, brochures, books and magazines. 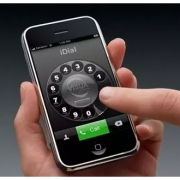 Digital icons and interfaces were introduced around 15/20 years ago. Skeuomorphism (container+form) or visual metaphors, became the trend at the beginning. Computer icons were designed following a utilitarian approach, as most users had never been in touch with a computer. These iconic representations were supposed to resemble real objects like clocks, notepads, sand-glasses, magnifying glasses. The icons below belong to windows 3.11. They may look low-fi (they are, indeed) but at the time designers were under the limitations imposed by screen dimensions, color depth and image resolution. As time went by, those limitations were challenged by better and bigger screens with “real” colours. When the 1st iPod was launched (2001), icons had gone from 16 x 16 all the way up to 128 x 128, 256 x 256 and even 512 x 512 px. These advancements allowed for 5 times the amount of detail in the same screen size. That , in turn, meant shadows, glows, gradients and layers applied to both, items and their backgrounds. About the same time, electronic devices like desktop computers, notebooks and smartphones became mainstream products. Design evolves backwards: 50’s minimalism gets to the digital screen. Flat Design as a general concept and branded detailed versions, like Microsoft’s metro and google’s material design, kicked skeuomorphism’s details and introduced simplified shapes with pure backgrounds and high contrasted colours. No more tiny details, no more million colours per square inch. Why? Screen sizes vary, so the best, smart way to scale objects is by using basic shapes. Users became more accustomed to touch screens and apps; metaphors were not so badly needed anymore. Millennials (born surrounded by digital screens) and “mature” users demanded a new look, away from the 2000’s nostalgia. Internet users (mainly through social media) flooded screens with video, animations and photographs; as a consequence, surrounding elements like a save icon or the app’s logo should then remain as non-invasive as possible. Few colours and details meant more battery (and bandwidth) available for real content. Flat style meant less work for designers, who could then focus on covers, memes, and other content-related graphic elements. Logo design was disrupted as well. Computers arrived at printers’ workshops improving speed, reducing costs and granting designers freedom to experiment via trial/error. Businesses jumped into social media and online content generation; their logos did as well. Trends like flat design, mostly associated with icon design in the early 2000’s, blended with logo design in more recent years. Logos now appear in ads that last only a few seconds. They show up in videos that last 15” or 30” (like those in Vine, Instagram and youtube). In order to get fixated faster onto our minds, shapes must be plain as they can. Logos need to work in big displays, little displays, printed ads, animations, shirts, cards, onto hundreds of backgrounds. When a designer adds elements like borders and shades, those elements remain somehow attached to the specific colors and dimensions chosen; if the designer changes the background, then those element will also require specific changes. But logos are about identity, and they should feel the same no matter the circumstance; that is why minimalism works, because it sticks to the primal visual concept. http://designconf.vma.bz/wp-content/uploads/2017/04/iphone.png 330 365 http://www.metalatitude.com/designconf/wp-content/uploads/2018/01/logo2_white-1.png 2017-04-18 09:16:272017-04-18 09:16:27Why are so many companies changing their logos to flat designs? There are endless possibilities at your fingertips when you travel, and if you’re like us you want to go past the touristy surface and delve into the culture of the place you’re visiting. Think of Get Gone as the “Airbnb” of food travel — connecting travelers with hosts who want to share their love of food and local tradition. Hosts can list their tours on the site, similar to someone listing their home on Airbnb. Noise 13 was excited to take on a project that is so close to our hearts, developing a full brand identity for Get Gone including a logo, color palette, photography style and website. The client wanted to provide an authentic and local experience for both hosts and visitors alike. This is reflected in the branding, imagery and overall style of the website. The spoon-compass logo, accompanied by rustic type, conveys an organic feeling and personifies the brand. The muted color palette brings sophistication and was inspired by vintage travel maps, further solidifying the theme. Vibrant, romantic photography was selected to excite the eye and make mouths water. The images you find throughout the site reflect real experiences that are captured while traveling. It was important to keep the visuals consistent, so we developed a booklet that would guide the hosts through the best practices for success — including what makes a good profile image and photo styles for tour postings. This booklet ensures the host is well equipped to navigate the site on their own and provides them with the tools to create a profile that maintains brand integrity. The ultimate goal of the website was to build an intuitive, user-friendly experience for both hosts and guests. 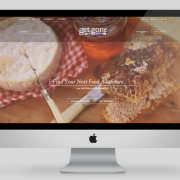 The Get Gone brand is personable and down to Earth, so it was important that the website not be too flashy or tech-centric like some of its competitors. We also needed to consider audiences in countries where the Internet may not be easily accessible, therefore the user experience needed to be seamless and pain free. Keeping all of this in mind, we thought out the functionality in great detail, and began by crafting an in-depth user flow chart before diving into front and back end development. We designed an account page for hosts to easily create their own profile, list tours and keep their information up to date. A robust search system allows visitors to easily filter through a myriad of tour categories to find one that best suits their appetite. It’s always satisfying to see a project come to life and Get Gone is no exception. Our team stakes a lot of interest in preserving local food traditions and so it is a pleasure to work with innovators who are making a difference. We look forward to watching Get Gone continue to grow and keep tradition alive!